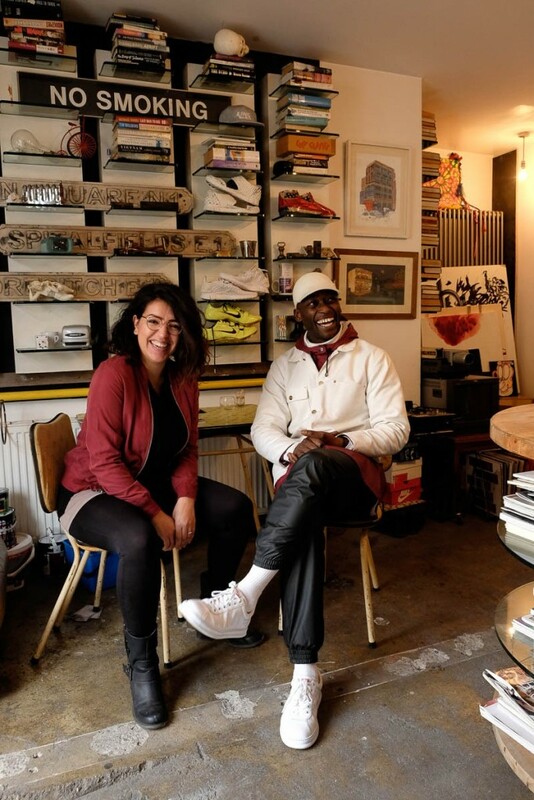 TRADERS researcher Saba Golchehr was interviewed by Rosanna Vitiello for the research project Local Legends on the critical role of the storyteller in a data driven world. The Office for Public Play organised a symposium on the role of the designer as ‘contractor’ in participatory design projects with children and young adults. 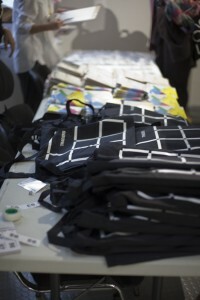 The symposium took place on February 22th and was hosted at HDK Academy of Design and Crafts, University of Gothenburg. This half day symposium assembled MA child culture design-students and stakeholders of the Björkås’ activity park as means to prepare for developing this participatory design project. The three invited speakers, Kerstin Bergendal (artist, PARKLEK project), Amanda Larsson (artist, Magisk trädgård project) and Markus Miessen (architect and spatial designer, Crossbenching practice), shared their perspectives and knowledge by presented their work. This input served as base for further reflection and discussion between the students, stakeholders and invited speakers to kick off the collaborative process. The main question that directed the presentations and discussion focussed on the role of making contracts that prescribes ways of working as well as making contracts / contracting (as verb) as a way of performqing participatory design practices and this in relation to the different actors involved in such collaborative, participatory design processes. As one of the six international partners of the TRADERS, the RCA’s School of Architecture hosted our project’s closing conference on the 21–22 November 2016. 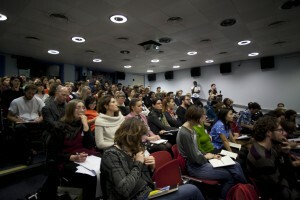 After three years of multidisciplinary research and a wide range of international events such as Autumn Schools, training weeks and exhibitions, we aimed to open the project up to a wider audience in a cross-disciplinary conference titled ‘Mediations – Art & Design Agency and Participation in Public Space’. The theme of ‘Mediations’ for the project’s closing conference relates to the activities of artists and designers working in the context of public space. Here they must deal with discrepancies between a multiplicity of forces, concerns and ‘actors’: forces can be political, economic, environmental or legal; concerns relate to areas like social justice, privatisation and digitisation, and the actors are the citizens, policy makers, or urban planners. Artists and designers who aim to empower citizens need to mediate between various aspirations in order to help bring about desired social and political change. Mediations take shape between different stakeholders and situations, from client to public, within top­-down and bottom-up models, between theory and practice, ideas and action. During the conference, the means, modes and practices used by artists and designers to mediate between multiple actors and diverse agencies were questioned. One of the key conference aims was to scrutinise the ethical implications, such as artists’ and designers’ accountability, that are inherent to participatory processes yet often remain underexplored by practitioners when working with, or in service of, the public. The conference therefore explored how artists and designers can become critically aware of their agency in the pursuit of empowering publics in decision-making and co-creation in relation to public space(s). The keynote speakers Ramia Mazé (Department of Design, Aalto University), Jane Rendell (The Bartlett School of Architecture, UCL), Susannah Hagan (University of Westminster) and Usman Haque (Umbrellium) explored how different participatory approaches can reconfigure existing power relations in art and design processes, looking at issues of gender, changing attitudes towards the design and production of public spaces over the last decades, and how new technologies can promote greater citizen participation in the design, use and sustainability of public space. The programme for our TRADERS Closing Conference ‘MEDIATIONS – Art & Design Agency and Participation in Public Space’ is now available here. Register for our conference here until November 4th! Office for Public Play invited a group of children, aged 9-12 year, to explore, imagine and rethink their neighbourhood’s public space in relation to child culture and child friendliness. Dampoort is neighbourhood in Ghent in full transition. An urban renewal project was drawn up to revive the neighbourhood into one with more qualitative living: better housing, sustainable mobility, encouraging entrepreneurship and a greener, more climate-neutral neighbourhood. Citizens were invited to participate in this process, initiated by the city of Ghent. Office for Public Play had a particular interested in children’s position in this context. How do local children experience their current neighbourhood? How they envision change? How to actively involve a group of local children related discourses that may contribute to processes of decision-making? Within the Pace-setters & Front-runners project, Office for Public Play initiated a series of playful dialogues: within the multicultural child group and between the children and other actors involved, such as their parents and local policy makers. The concept of desire lines or ‘slow paths’ was used to explore informal ways of city planning (how do children playfully appropriate and envision public spaces) and rethink child friendly places in the city (slow paths being paths that are not accessible for cars). In a first stage, the children explored and re-explored their neighbourhood through a series of play activities and ‘re-looking’ (Herrekijkers) exercises. This generated the ‘Front-runners Map’ with criteria for child friendly space in the city. In a second phase the children focussed on narrating imaginary places. Their stories, together with stories about child friendly places written by parents and policy makers, were collected in the ‘Invisible Paths’ book. These stories were used as material to initiate dialogue with Schepen Decruynaere, local policy maker for Education and Youth. The playful dialogue was triggered by a chair dance and shaped through role-play. Another dialogue was shaped with Schepen Watteeuw, local policy maker for Mobility, where the children negotiated their list of rights they want to acquire for child friendly space in the city. Dialogue-shapers is part of the Pace-setters & Front-runners project by Trage Wegen VZW and zZmogh and a design researcher ‘Office for Public Play’. Dialogue-shapers was hosted at Pastory. [urban interfaces] situated media, art, and performance making public spaces. Call for submissions! On the 22nd of April 2016 TRADERS researcher Naomi Bueno de Mesquita organised a workshop together with Wouter Meys, Maarten Groen and Nazli Cila from Citizen Data Lab at University of Applied Sciences, Amsterdam. Jelle Vrieswijk (a communication multimedia design student) assisted in the graphic communication and documentation. How participatory tools can be used/useful to make a blueprint of a specific issue on neighbourhood scale. How to mine and map data, using a variety of data-sets (open data, social media data and collected data) as to build a story around an issue. How the created blueprints can be used to support grassroots initiatives. The workshop formed part of the conference Design & The City (Amsterdam). Design & The City explores citizens-centred design approaches for the smart city. The central theme is the role of design(ers) to create opportunities and practices for citizens, (social) entrepeneurs and policy makers towards more liveable, sustainable and sociable urban futures. The workshop took place on the last day of the conference on the FabCity Campus on Java Island in Amsterdam. FabCity is a temporary and freely accessible campus open between 1 April until 26 June 2016 at the head of Amsterdam’s Java Island in the city’s Eastern Harbour District. Conceived as a green, self-sustaining city, FabCity comprises of approximately 50 innovative pavilions, installations and prototypes. Students, professionals, artists and creatives are developing the site into a sustainable urban area, where they work, create, explore and present their solutions for current urban issues. The participants come from various educational backgrounds, including art and technology academics, universities and vocational colleges. The Research Show presents work in progress from art and design researchers who are currently pursuing doctoral studies at HDK and Valand Academy, both artistic faculties of the University of Gothenburg. The exhibition features works by André Alves, Eva la Cour, Kerstin Hamilton, Annelies Vaneycken (Office for Public Play ), Arne Kjell Vikhagen, and Eva Weinmayr. The exhibition has been curated by Cora Hillebrand, Ram Krishna Ranjan, and Mick Wilson. The lunchtime talk on April 20th, a conversation between Arne Kjell Vikhagen and Annelies Vaneycken, explores current research ideas of “play” and “game” in art and design practices and research.